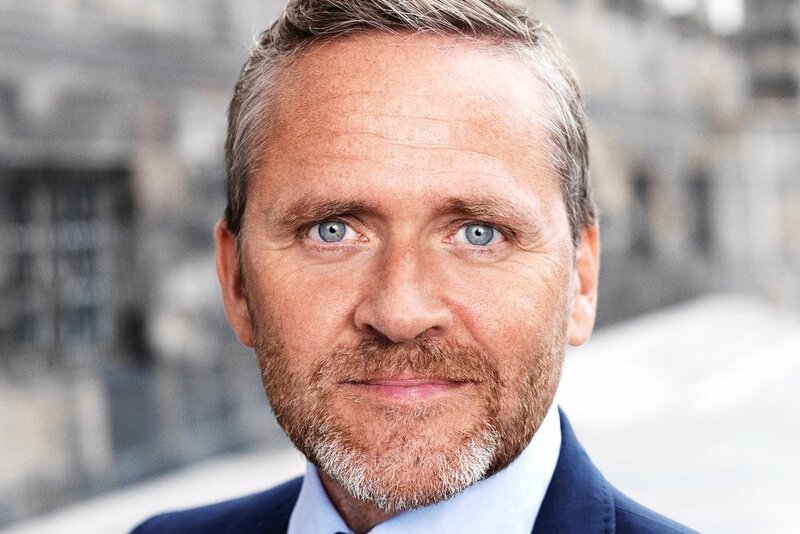 DACC is truly excited to invite you for an evening with Anders Samuelsen, Danish Minister for Foreign Affairs and Member for the Danish Parliament Liberal Alliance. Mr. Samuelsen will deliver what promises to be an entertaining talk about his ups and downs in Danish politics, based on his book Comeback Kid (available only in Danish). And he will update us on developments in Danish domestic and foreign policy, trade, and the U.S.-Danish relationship. You will have the opportunity to discuss such topics as the proposed new limitations on the Danish Students' Grants and Loans Scheme, pensions for Danes posted abroad, and rules for family reunification. Pizza and drinks will be served from 7:00 pm. Admission is free for members and invitees but you must pre-register. Nov. 20, 2001 – July 15, 2004: MP for the Social Liberal Party, West Zealand. Nov. 13, 2007 – Aug. 27, 2008: MP for the New Alliance, East Jutland. Aug. 28 – Sept. 15, 2011: Member of Parliament for the Liberal Alliance, East Jutland. From Sept. 15, 2011: MP for the Liberal Alliance, North Zealand. Mar. 31, 1998 – Nov. 19, 2001: Pro tem MP for the Social Liberal Party, Vejle County. Dec. 5–11, 1997: Pro tem MP for the Social Liberal Party, Vejle County. From 2010: Candidate for the Liberal Alliance across all constituency nomination districts. 2008 – 2010: Candidate for the New Alliance. 1998 – 2004: Candidate for the Social Liberal Party in Holbæk. 1994 – 1998: Candidate for the Social Liberal Party in Horsens. From Nov. 28, 2016: Minister for Foreign Affairs. Jul. 20, 2004 – Nov. 28, 2007: Member of the European Parliament. From 2009: Liberal Alliance Chairman. 1987 – 1993: MSc (Political Science), Aarhus University. 1994 – 1998: Consultant, Castberggård High School for the Deaf. Member of the board of representatives of the Danish Arts Council 2009-2011. Member of the board of representatives of the Danish Arts Foundation 2009-2011. Member of the board of representatives of CARE Danmark from 2010. Vejen til et bedre Europa – en bro mellem ja og nej [The Road to a Better Europe: A Bridge Between Yes and No] People's Press, 2004. Europas stemmer [Voices of Europe] Gyldendal, 2005. Det Danmark jeg drømmer om – Danmark i et større perspektiv [The Denmark of My Dreams - Denmark in a Broader Perspective], 2015.